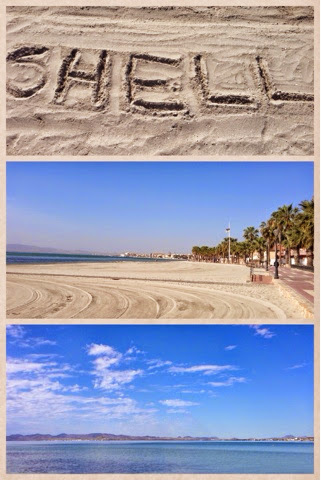 What Shell Says - A Manchester Beauty, Fashion and Lifestyle Blogger: Spanish Summer Holiday! 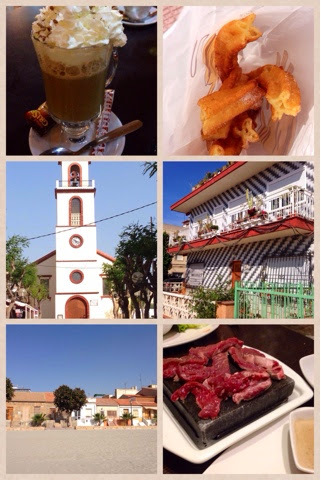 It's been a couple of weeks now since I returned home from my annual family holiday to a little village called Los Alcazares near Murcia in Spain. I've been visiting this place for about 7 years now and I absolutely love it! It's the most relaxing and peaceful place I've been to and is totally void of all the usual 'British-ness' associated with tourist resorts in Spain. As soon as I step off the plane at tiny San Javier airport I just feel at home and so chilled out! We stay at the same complex each time we visit and everything is within walking distance from the villa - the supermarket, the beach, the local market and the 'plaza' full of restaurants, shops and coffee bars. One of my favourite things about this area is the beach. It's so beautiful and is honestly the quietest beach I have ever seen! Having miles of soft golden sand all to yourself for a nice long walk after breakfast is such a great feeling! The food is always great in the restaurants here and we ate a three course meal pretty much every night! We had everything from steak to sea bass to a huge Chinese banquet. One of my favourite bars to go to is called Boulevard which is a coffee shop/ice cream parlour by day and cocktail bar by night. The staff are so friendly and always appreciate my attempts at ordering in Spanish! 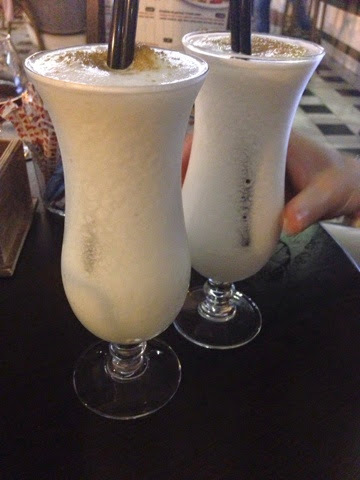 They also make the most delicious Coco Loco cocktails! I was sad to be coming home after a fabulous seven days in the sunshine but it's nice to know that whenever I do return there it always feels like a second home. Where are you going on your holidays this year?